Keep up to date with the latest research-to-practice trends! 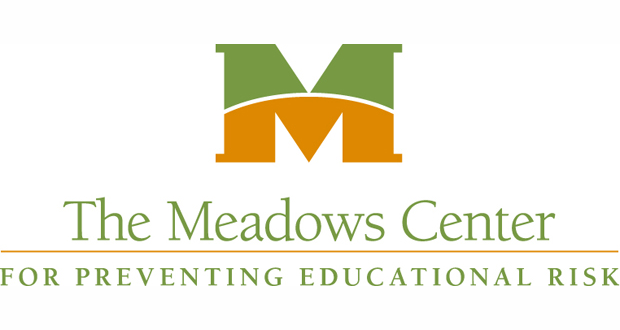 The Meadows Center is now on Facebook! How Can I Support My Adolescent’s Development as a Writer? 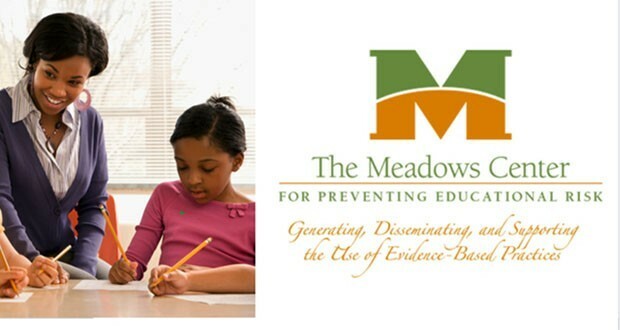 Created in the spring of 2008 with a major commitment from the Meadows Foundation of Dallas, MCPER is a collaboration of researchers from multiple disciplines and sites, including the Vaughn Gross Center for Reading and Language Arts in The University of Texas at Austin College of Education. 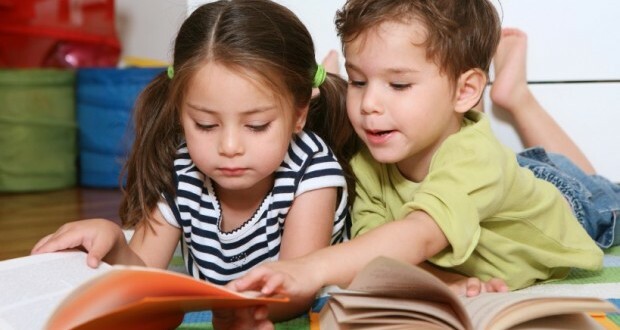 MCPER serves students, educators, and families throughout the nation. 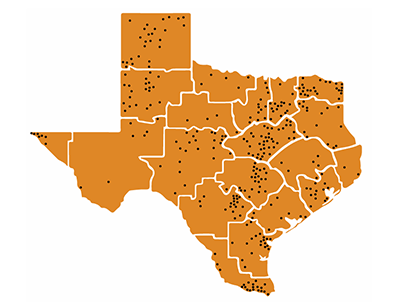 To explore the scope of our projects across Texas, see our Texas District Map. 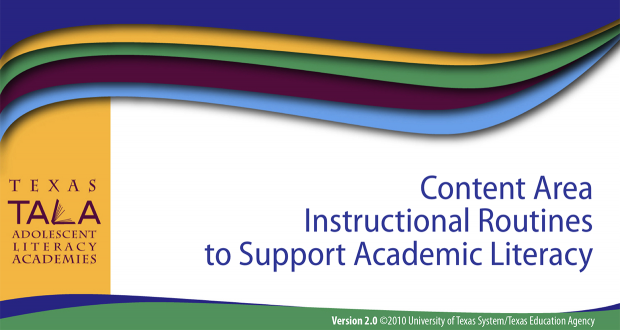 MCPER-produced materials are posted in our Library. The Library is updated continually, so visit it often to explore MCPER’s newest materials. Materials are also posted on relevant Institute and Project pages. 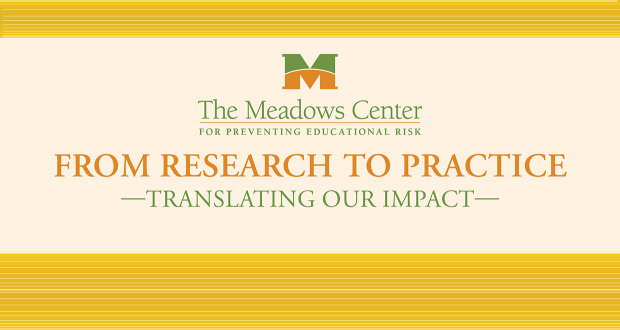 MCPER translates research findings into easy-to-understand tools and resources that policymakers, administrators, and all educators can use. The latest research findings are distilled into concise top 10 lists of the most important things that should be in place in every school. 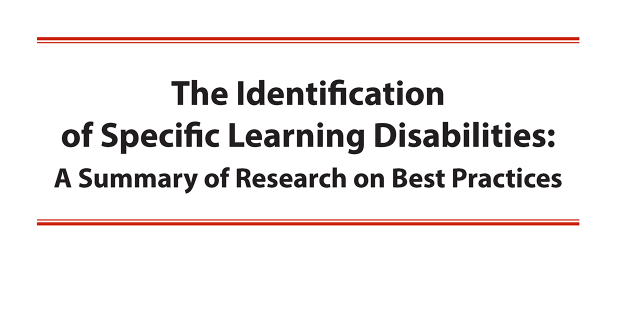 Hosted on the Texas Center for Learning Disabilities site, the Education Research Matters monthly series features researchers translating important, current research into nonacademic language for practitioners in the field.